The Early Triassic is the first of three epochs of the Triassic Period of the geologic timescale. It spans the time between 252.17 Ma and 247.2 Ma (million years ago). 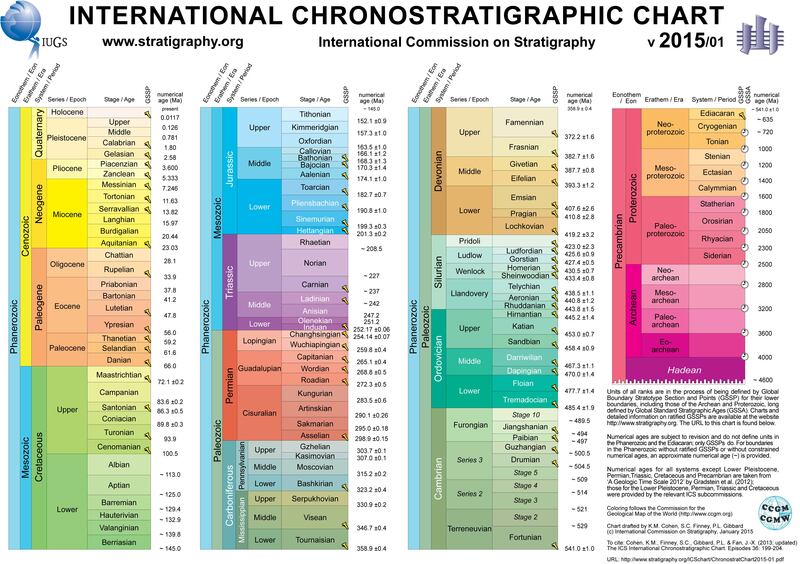 Rocks from this epoch are collectively known as the Lower Triassic, which is a unit in chronostratigraphy. The Early Triassic is the oldest epoch of the Mesozoic Era and is divided into the Induan and Olenekian ages. Early Triassic faunas lacked biodiversity and were relatively homogenous throughout the epoch due to the effects of the extinction, ecological recovery on land took 30M years. The climate during the Early Triassic epoch (especially in the interior of the supercontinent Pangaea) was generally arid, rainless and dry and deserts were widespread however the poles possessed a temperate climate. 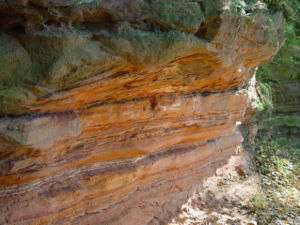 The relatively hot climate of the Early Triassic may have been caused by widespread volcanic eruptions which accelerated the rate of global warming and possibly caused the Permian Triassic extinction event. Until recently the existence of an extinction event about 3 million years following the end-Permian extinctions was not recognised, possibly because there were few species left to go extinct. However, studies on conodonts have revealed that temperatures rose in the first 3 million years of the Triassic, ultimately reaching sea surface temperatures of 40 °C in the tropics around 249 million years ago. Large and mobile species disappeared from the tropics, and amongst the immobile species such as molluscs only the ones that could cope with the heat survived; half the bivalves disappeared. On land the tropics were practically devoid of life. 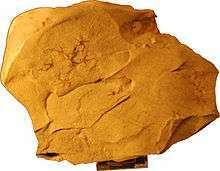 Big, active animals only returned to the tropics, and plants recolonised on land when temperatures returned to normal around 247 million years ago. ↑ Sahney, S.; Benton, M.J. (2008). "Recovery from the most profound mass extinction of all time" (PDF). Proceedings of the Royal Society: Biological. 275 (1636): 759–65. doi:10.1098/rspb.2007.1370. PMC 2596898 . PMID 18198148. ↑ Hallam, Anthony and P.B. Wignall 1997. Mass Extinctions and Their Aftermath, "Extinctions with and at the close of the Tiassic" p143f. ↑ Michael Marshall (2012). "Roasting Triassic heat exterminated tropical life". New Scientist. ↑ Hallam and Wignall 1997:144.